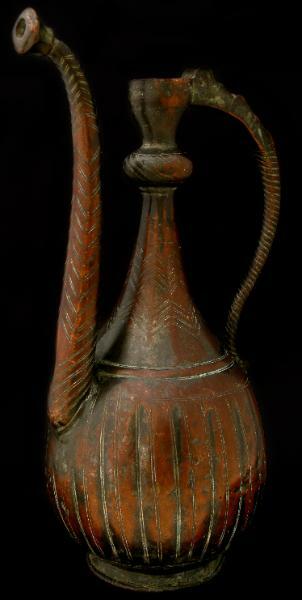 This tall copper ewer with its rich, deep red-chocolate patina has obvious great age. 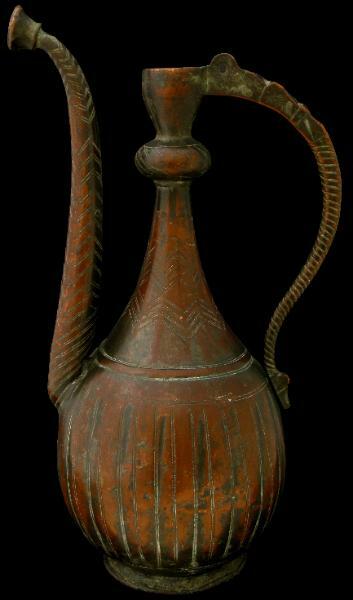 Made from beaten and cast copper it has a long, globular body etched to suggest ribs or gadoons and sits on a low, slightly flared concave foot. 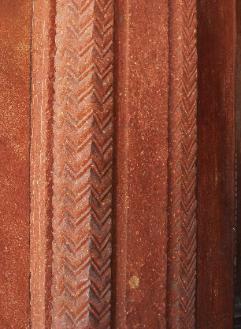 The long spout is etched with a geometric zig-zag pattern, as is the neck. 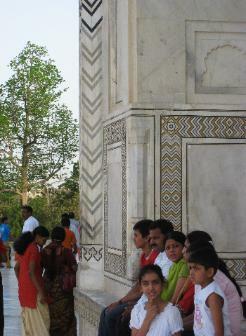 The neck has a flattened, bulbous segment that is also etched. The handle has been cast with a deep spiral design. The lid is missing. Gold, Silver & Bronze From Mughal India, Alexandria Press, 1997 – illustrations 210, 214, 223.) 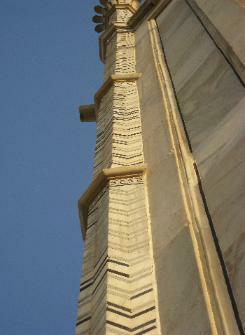 This motif is based on the flow of water, or perhaps the scales of a cobra, a stylistic device often encountered in Mughal, Deccan and other Islamic architecture in northern India to decorate columns and even guttering.